All I can say is that South Wales is a MUST for all Americans (or non Brits) visiting or living in England. A few years ago we went to North Wales, climbed Mount Snowdon and got all castled out. I gathered from my husband that he thinks North Wales is more spectacular and it may be, but I prefer the beauty of South Wales. We were near Swansea and the Gower and the scenery is absolutely stunning. The kids enjoyed it and we all noticed a big difference to the landscape compared to where we live in England. Highlight was the award winning and 9th best beach in the world, Rhossili Bay. Stunning. Where else in the world can you have long stretches of golden sand with sheep and cows grazing in the nearby hills. Typically British while a-typically tropical. Beware, it is certainly a challenge for American drivers. The roads are so tiny most of the time there’s hardly enough room for one car, let alone two, so lots of reversing, lots of stopping and waiting, lots of near misses (collisions into oncoming cars, trees and bushes). Plus, we encountered horses, sheep and cows hanging out in the middle of the roads! I definitely feel like a very skilled driver after a week of all that! And the horse trekking was a big hit with the kids! We did have a few rainy days too, as can be expected. Off to France via Eurotunnel in a few days. Meghan Peterson Fenn is the author of Bringing Up Brits and co-author of Inspiring Global Entrepreneurs with Heidi Mulligan Walker. Meghan is also Co-founder and Director of Design and Web at Shake It Up Creative. 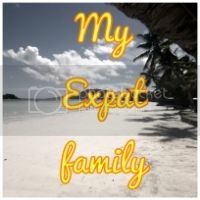 And, she is an award winning expat blogger. Sounds great, it’s certainly something for you to look forward to! That beach looks gorgeous! Definitely breaking down my preconceptions of Britain. Oh I’m so glad. It did the same for me for Wales. When my husband first suggested it, I have to admit, I wasn’t all that excited. But it turns out it really is something to be excited about! Really great pictures! It is so beautiful.